Parliamentary elections scheduled for 29 December offer a unique opportunity for improving Bangladesh's battered human rights situation. As an immediate matter, the elections signal the end of a two-year period of state of emergency marked by severe restrictions on political rights such as free assembly and free expression. If conducted properly and free of violence, the elections could inaugurate a more responsive, accountable civilian government -- a development necessary for improving the lives of millions of Bangladeshis now living in grinding poverty and without access to proper housing, education, or health care. Amnesty International welcomes the withdrawal of the state of emergency on 17 December 2008, and the restoration of rights that had been fully or partially curbed in Bangladesh during the past two years. Amnesty International calls on the major actors on Bangladesh's political scene to do their part to respect and protect the right of all Bangladeshis to participate, without discrimination, in the conduct of public affairs. The Caretaker Government must ensure that people seeking to take part in peaceful election campaigning and in the elections themselves are protected against arbitrary arrests, intimidation and violence. Amnesty International urges all political parties to desist from violence and to commit themselves to the protection of human rights, including of minority groups, now and in future, whether in government or opposition. As the country moves away from emergency restrictions, both the Caretaker Government and the political parties have the responsibility to ensure that there is no recurrence of the political violence that characterized previous elections and preceded the declaration of state of emergency on 11 January 2007. 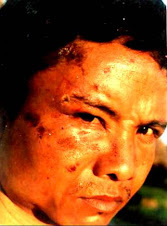 From late October 2006 to early January 2007, in the run up to the postponed general elections, at least 35 people were killed and hundreds injured during clashes between rival political groups. The last general elections, which took place in October 2001, were marred by frequent clashes between members and supporters of opposing political parties, who used violent means including sticks, knives, firearms and crude bomb against each other during election campaigning. Thousands of people were left injured and more than 150 killed in these clashes during the three-month period of election campaigning before the polls. At least 10 of those killed were believed to have been hit by bullets fired by the police at the crowds. The Caretaker Government has the ultimate responsibility for ensuring that elections proceed properly and serve to register the genuine wishes of the Bangladeshi people. The Caretaker Government's efforts should now be directed at upholding the newly restored freedoms during the coming elections. The Caretaker Government has mobilized nearly 50,000 troops to provide security and minimize partisan violence that has characterized past polling efforts in the country. Law enforcement personnel can play a major role in preventing threats, intimidation and attacks from non-state actors against voters. 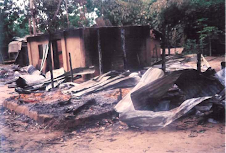 In the past, armed gangs acting at the instigation of local politicians have committed such abuses with impunity. However, Bangladesh's security forces, including police, the Rapid Action Battalion and army units deployed to maintain law and order have a poor track record on human rights. There are credible reports of harassment of human rights defenders, torture and other ill-treatment, and the use of unnecessary or excessive force and extrajudicial executions during law enforcement operations. 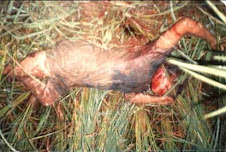 For instance, between January 2007 and August 2008, more than 200 persons died in what police and RAB have portrayed as "crossfire" but are suspected to be extrajudicial executions. The government has not rigorously investigated these reports and no RAB or army personnel allegedly involved have ever been brought to justice. The government must ensure that law enforcement personnel are held accountable for any human rights violations they have committed. Prior to January 2007, the major political parties have either instigated, supported or directly engaged in violence against their political opponents. The Hindu minority group has also been a target of electoral and communal violence. Student groups of the main political parties have been among the main perpetrators of political violence in Bangladesh. These groups include Bangladesh Chattra Dhal (BCD, affiliated to the Bangladesh Nationalist Party); Bangladesh Chattra League (BCL, affiliated to the Awami League); and Islami Chattra Shibir, (Shibir, affiliated to Jamaat-e-Islami). Political parties have pledged, but failed, to disarm them. None of the political parties has condemned the violence carried out by their members. On the contrary, the leaders have shown tacit support for violent means, and have at times colluded with criminal gangs to attack their opponents. The political parties have the responsibility to ensure that their cadres and student wings participate peacefully in the electoral process and desist from violence before, during or after the elections. Protecting the right to freedom assembly and association requires firm action from the Caretaker Government to inform and train law enforcement agencies to respect these rights. It also requires active support from political party leaders to ensure that their members respect the right all people, including their opponents, to hold rallies and to campaign for elections. The partial withdrawal, on 3 November 2008, of the ban on political rallies was a step in the right direction but it was not implemented until 12 December. With the lifting of the state of emergency on 17 December, the government should fully restore all rights that had been restricted under the emergency. The withdrawal of emergency restrictions on freedom of expression in November 2008 was long-awaited and welcome. Although the restrictions were not being enforced strictly, they nonetheless made it difficult for journalists and human rights defenders to carry out their legitimate work free from harassment, intimidation or abuse. They resulted in the arrest by security forces of at least three journalists and two human rights defenders including Tasneem Khalil and Jahangir Alam Akash in 2007, four of whom claimed to have been tortured while in custody. 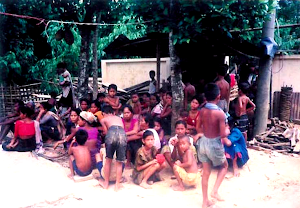 Amnesty International recognizes that the situation appears to have improved significantly in 2008, with no one taken into custody for defending human rights. Amnesty International welcomes the Right to Information Ordinance promulgated in October 2008. It will have a positive impact on freedom of expression when it comes into operation in early 2009 by giving citizens access to information held by public bodies. However, the ordinance explicitly excludes security agencies such as the Directorate General of Forces Intelligence, Special Branch of Bangladesh Police and the Intelligence Cell of Rapid Action Battalion from disclosing information unless it relates to human rights violations and corruption. 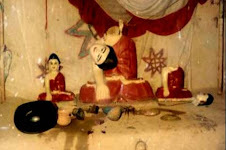 Fear of attacks against minorities, including Hindus, is a real concern given the electoral violence during and immediately after the parliamentary elections of October 2001. Sporadic attacks against minorities had frequently occurred during parliamentary elections in Bangladesh but the violence took an unprecedented turn during the last elections in 2001. 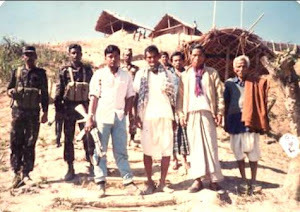 Crowds of assailants, whom journalists and survivors described as members of the Bangladesh Nationalist Party (BNP)-led coalition, which won the elections, drove hundreds of Hindu families off their land, and in some cases burnt their homes, apparently on grounds of the Hindus' perceived support for the opposition Awami League party. Bnagladeshi newspapers reported that dozens of Hindu women had been raped and at least one Hindu man was hacked to death. Government action -- from late 2001 onwards -- to contain the violence prevented the recurrence of mass scale attacks but no one was brought to justice for the attacks. There are legitimate fears within the human rights community and members of the Hindu minority that similar attacks against Hindus could occur during the forthcoming elections. Another alarming development since late 2003 has been the rise in attack and hate speech against members of the Ahmadiyya community. The attacks have largely been instigated by Khatm-e Nabuwat, an Islamic group demanding that the government declares the Ahmadiyya sect non-Muslim. Instances of such attacks include the killing of an Ahmadi imam, "excommunication" by laying siege to Ahmadi houses and not letting inhabitants out of their homes, the beating of dozens of Ahmadis, and the marching of crowds attempting to occupy Ahmadiyya places of worship and drive the Ahmadis out. Although the previous government and the present Caretaker Government have prevented agitators from entering Ahmadi places of worship or large-scale abuses against their members, there is a high risk of their exposure to such attacks during the unpredictable times of elections. Other minorities also need protection. 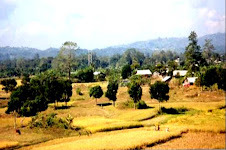 For instance, frequent clashes between Bengali settlers and indigenous communities over the settlers' push to acquire indigenous land in the Chittagong Hill Tracts make the area especially vulnerable to eruption of violence during elections. Indigenous people say army units deployed in the area do not stop settlers from confiscating their land or from attacking them. Indigenous voters need assurance that they can cast their vote freely without fear of attacks or harassment during or after elections. Army units deployed in the area have a responsibility to ensure their safety and security at all times. Political parties must show a more robust commitment to human rights, and refrain from supporting any laws or activity that have been or will be abusing human rights. Upholding freedoms requires support and cooperation from political parties. Although the Awami League and the Bangladesh Nationalist Party have stated publically that they will uphold human rights, they have not provided a clear explanation of how they will make this happen. Their past poor record on human rights lends little credence to their promises in the absence of concrete plans for implementation. The Awami League has not provided a concrete plan about how it will follow through on its promise of ensuring the independence and impartiality of the judiciary, ending extrajudicial executions and establishing the rule of law. Their promise to strengthen the Human Rights Commission and increase its effectiveness lacks credibility as they promised, but failed, to establish a human rights commission during their last tenure of office (1996-2001). The BNP's promise that if voted to power, they will implement the Universal Declaration of Human Rights is vague and is not backed up by any plan of implementation. It is also in sharp contrast to their responsibility as the government of the day in launching the military operation "Clean Heart" (16 October 2002 to 9 January 2003). 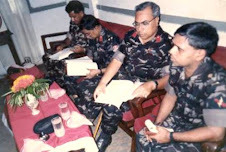 Troops deployed during that operation to maintain law and order were involved in extrajudicial executions of some 40 people, but received immunity from prosecution by the then BNP-led government. The BNP-led government set up RAB and failed to investigate the serious allegations of killings and other human rights violations by them. Statements by Jamaat-e-Islami and Jatiya Party (Ershad) that they will introduce blasphemy laws are of serious concern. In Amnesty International's experience such laws have been used in other countries to suppress freedom of expression and to persecute religious minorities, including in particular members of the Ahmadiyya community. • ensure prompt, impartial and effective investigations by the civilian justice system of alleged human rights violations by military personnel and the RAB, including arbitrary arrest, torture, other ill-treatment, and deaths in custody, or use of unnecessary or excessive force with a view to bringing perpetrators to justice. 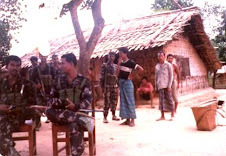 • ensure that minority communities, including Hindus and Ahmadis are protected against possible attacks during and after the forthcoming elections; send clear instructions to the army units in the Chittagong Hill Tracts to ensure that indigenous people in the area are protected against attacks from Bengali settlers during or after elections. • support independent and impartial human rights monitoring (during and after the election campaign).